NBC's freshman drama keeps surprising us with new twists every week, but did this week's shocker have us gasping or laughing? Just when you thought you were out, “This” pulled you back in. When it comes to Dan Fogelman’s freshman NBC drama, audiences looking to narrow their list of must-see TV may have felt a little like Michael Corleone this fall. 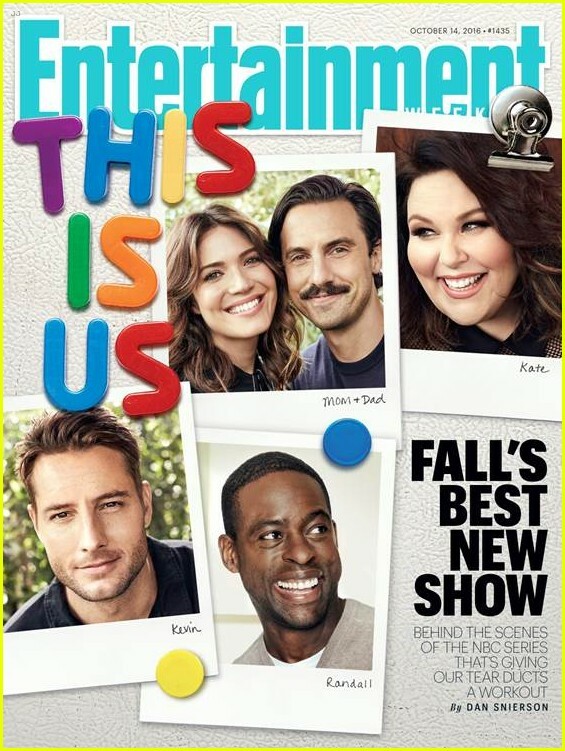 “This Is Us” has been labeled the “best new show” by some, and decried for its “cloying sentiment” by others. IndieWire wasn’t a huge fan of the pilot, but, like many other viewers, we wondered what could possibly come next. Would “This Is Us” become a show with enough truth to overcome the schmaltz? Could its superhuman heart be passed on to its one-dimensional characters? And would Milo Ventimiglia ever shave that ‘stache? In short, would “This Is Us” be worth watching? Through five episodes, we’re still not sure. We’ve seen signs of promise and despair, but one constant remains: the twists. “This Is Us” was built on two whopping twists in the season premiere; surprises that were clearly good enough to entrance its audience for the weeks to come (and earn the series a full season order at NBC). But how has the series held up since then, and how dependent does it remain on its twists? Immediate Reaction: Clearly, this has been the biggest twist of them all. It set the bar, and it set it high. Technically, the fact Jack (Milo Ventimiglia) and Rebecca’s (Mandy Moore) story takes place in the ’70s could be grouped in with another twist — Randall’s (Sterling K. Brown) relation to the family — but how they hid the time period in plain sight (that heart monitor! those clothes!) sets this one apart. Now: Call us a sucker for period pieces, but this twist has grown on us over time. Once we saw how the flashback structure would work as more than just fodder for a surprise ending in the pilot, we’ve become hooked on Jack and Rebecca’s theme-setting parenting stories. Immediate Reaction: This is what “This Is Us” should be working toward: episodes without tricks, gimmicks and rug pulls. Fogelman wants his characters to sustain a straightforward family story on their own, and that’s great. They should, especially before the audience starts expecting a major revelation each week. Maybe the audience needed a few hooks to get invested (and the writers a little time to flesh out their subjects), but we shouldn’t require big reveals to stick around. A twist every episode is unsustainable, and Episode 4 marked the first step in phasing out the twists. Now: Episode 5 dealt us another surprise — Kate’s (Chrissy Metz) somewhat creepy football tradition — and, while significant, it wasn’t played up too much, and the episode didn’t rely upon it. Kate’s plots continue to be overly simplistic, but at least this one wasn’t repetitive. So there’s still hope for a future in which “This Is Us” is free from “twist of the week” storytelling. 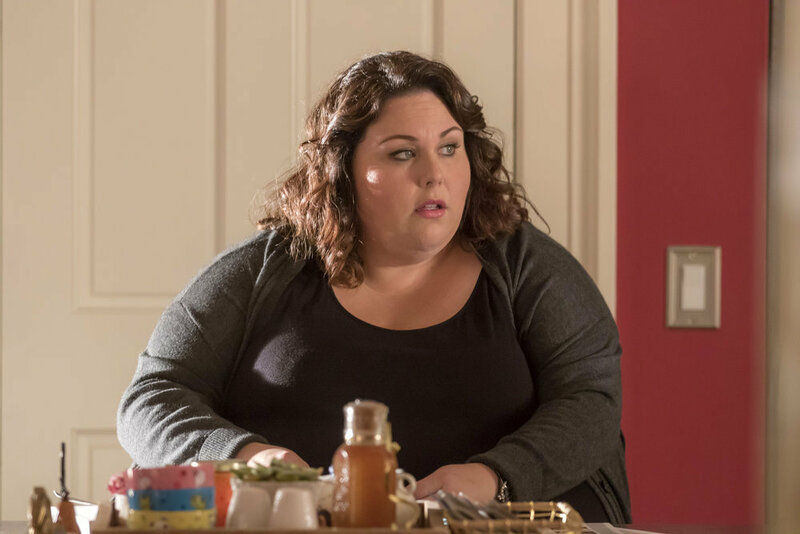 Now: After taking a week off from unveiling any major surprises, “This Is Us” pulled out a long-expected twist in Episode 5, “The Game Plan.” [spoilers through Episode 5 ahead] Turns out Jack, the Pearson family patriarch, died some time ago, thus leaving Rebecca free to remarry. Viewers who’ve been ‘shipping Jack and Rebecca since the get-go undoubtedly predicted death was the only way the couple would ever split up, even though the series hinted at relationship trouble in the second episode (due to Jack’s drinking), shortly before revealing Rebecca is married to Jack’s best friend, Miguel (Jon Huertas), in the present day. That twist clearly caused the most outrage among fans, who were warned to wait and see how she ended up with the opportunity to marry someone else before judging her. To be honest, critics have known Jack’s fate for months. His death was originally included in the pilot, before the reveal was cut and saved for later. But we kind of wished they’d left it out instead. I’m sure Miguel is great and all (OK, maybe I’m not so sure about it), but Jack has the engaging personality you want to see more of, and while we’ll be getting plenty of him in flashbacks, it feels like a missed opportunity to cut him out completely. He can still develop in the past. He can still change in the past. He can still shave that mustache before the ’80s end. But knowing we’ll never see him cross into the present is a bit of a letdown, and not in the heart-wrenching way intended. We just want more Jack. Immediate Reaction: It may have added a bit of depth to the short film quality of the pilot, in that knowing Randall’s awareness of William’s sickness may have adjusted his decision-making. But it didn’t mean much to an audience who just met Randall, let alone William. Now: Considering the confirmation we got in Episode 5 that a) William will die, and b) it appears he’ll be staying with his son until he does, we’re liking this decision more and more. 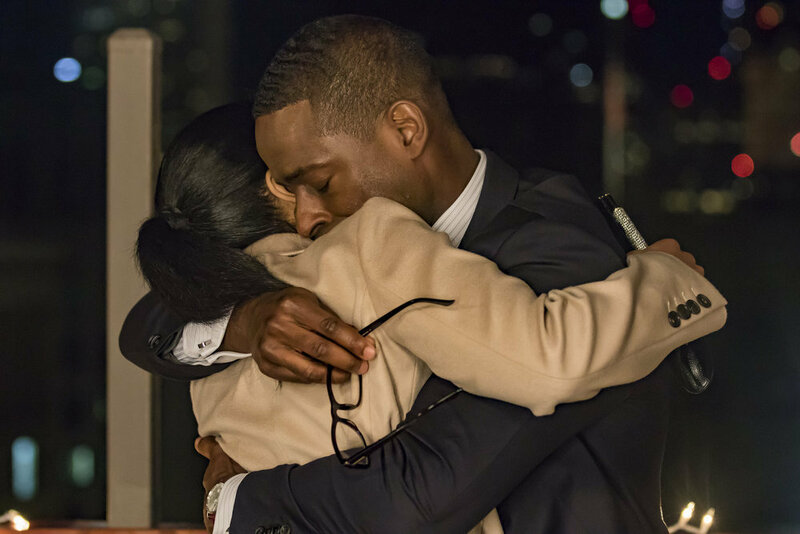 It adds urgency to Randall and Beth’s (Susan Kelechi Watson) overall arc, which was doubly necessary after we sat through yet another plot that doesn’t seem to be going anywhere. I mean, they spent all of Episode 5 worrying about a pregnancy that didn’t happen. But at least Randall knows he needs to work out any issues with his father. OK, so Randall’s daughter didn’t call her grandfather “William” when confirming what was obvious to the rest of us, but she still effectively summed up one of the midseason finale’s better twists. 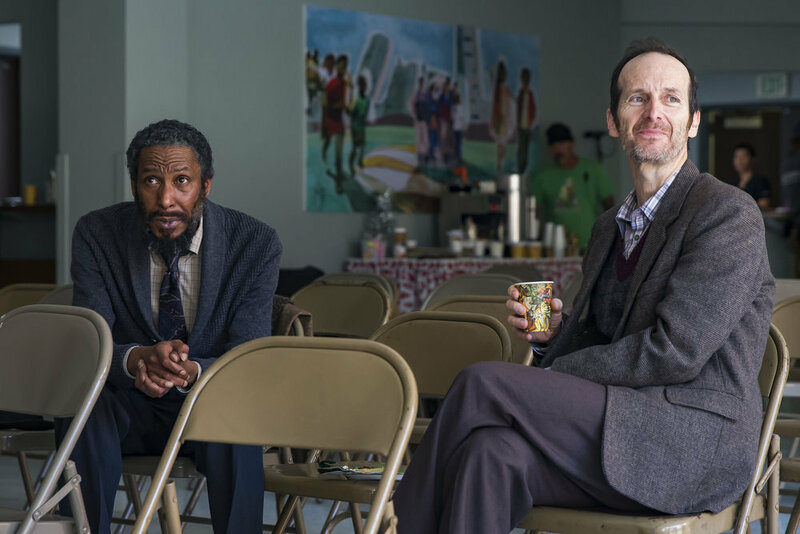 William had a bad break-up with Jesse, played by the great Denis O’Hare, and now they’ll spend as much time as they have left together. While not a juicy twist by any means, it wasn’t treated as such too heavily in the episode. This was more about getting to know William, which we’re all for. Then: Instinctually, this just felt wrong — like one of those jokes where the punchline is “the doctor was his mother.” Does not guessing accurately mean we’re sexist for overlooking the obvious answer, or simply that we expected more from the joke itself? Also, in parallel, does not guessing that two fraternal white twins are siblings to an adopted black brother mean we’re dumb-dumbs for never considering the possibility, or simply that we shouldn’t have been looking for such a crazy stretch to begin with? Now: Considering it’s the basis for the show, we’ve come to accept it. The twist is still kind of “meh,” but at least something potentially great came out of it. Well, look who finally realized time spent with Kate was better than time spent with food. Toby showing up at the Randall residence was just in the nick of time, as Kate was considering a dangerous surgery to correct issues brought up in their relationship, but the later twist — which we’ll get to — all but ruined his good gesture. Technically, his appearance could still be the better for Kate’s health, even if it was worse for Toby’s. Then: Easily the biggest twist since the premiere came when Rebecca showed up at her son’s door with Miguel at her side instead of Jack. Where’d Jack go? Why would she marry his best friend? What happened to Miguel’s wife? All of these questions were upsetting, with no compensating uplift in sight. Now: We found out what happened to Rebecca’s first husband in Episode 5, but the other two queries remain open. It’s not that we need everything to be A-OK for the Pearson family, so much as we need a good reason for this twist to exist. So far, we haven’t seen one. Wait, where did Jimmi Simpson come from? The dude from “Westworld” was just suddenly there, standing on a Manhattan skyscraper’s balcony, leaving a note and a watch for his soon-to-be ex-wife and kids. Or he would have, if Randall hadn’t walked out to try to sell back the boat he just bought. The scene itself was pretty out of nowhere, but perhaps we could have forgiven its purple coloring if not for the fake-out camerawork to end it. Beth walked outside. Randall turned to talk to her. He turns back, and — gasp — Jimmi’s gone! Did he jump? Randall thought he jumped, as he shouted and looked over the railing. But never fear, Jimmi just walked inside, because nothing bad can happen on Christmas Eve. Yeesh. This is the kind of twist that makes “This Is Us” feel twist-heavy, and we would’ve been better off without it. Man, this sure came out of nowhere. Toby was breathing a little heavy when he showed up — and after a quickie upstairs with Kate — but otherwise his sudden collapse and emergency room cliffhanger sure felt like a forced twist the midseason finale. We’ll see what happens when “Twist Is Us” returns from its holiday break, but alive or dead, this doesn’t seem like a positive development. Alive: It’s a fairly meaningless twist. Dead: We’ll miss Toby. So far, this one is a lose lose situation. Then: Arriving early in Episode 3, this revelation seems innocent enough and opens up possibilities to explore William’s story in future episodes. That being said, there doesn’t appear to be some deep, dark secret here, nor did their connection seem all that authentic when it happened: a fine episodic arc at best, a pointless stretch to connect parents at worst. Now: Honestly, we’re just worried about when this comes back up. If Randall throws a hissy fit to his adopted mother whenever he discovers she knew who his bio dad was this whole time, it will be a giant waste of time. “This Is Us” continues to lean heavily on its strong cast to sell big speeches surrounding minor moments, and Brown can chew up the scenery with the best of them. But we’d rather not see a predictable result from a twist — kinda ruins the fun, doesn’t it?